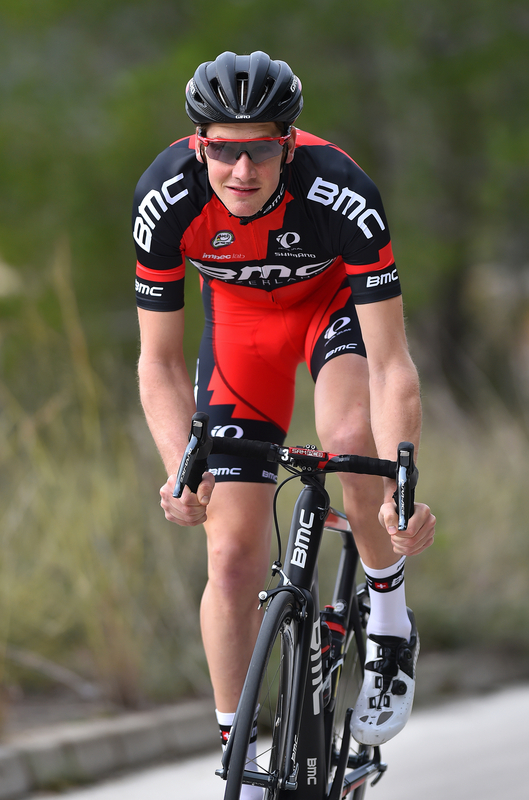 The start of 2015 saw Nathan Van Hooydonck – who previously rode for Bissell Development Team – begin his spell with BMC Development, where he quickly integrated in the team’s highly structured program. Although hindered by bad luck in the first part of the season, when he missed on two of his main goals of the season – Tour of Flanders and Paris-Roubaix – the young and talented Belgian didn’t give up and took every race as a learning curve. The 20-year-old kept working hard and rekindled his motivation, and this eventually led to his first victory, which was scored in Neufvilles and signaled a turning point in Nathan’s season. In the summer came other two solid successes – at Pollare-Ninove and Kerniel-Borgloon – which were followed, less than two weeks later, by his biggest victory up to date. On July 31st, the BMC Development cyclist put on a great ride at the U23 National Championships in Lacs de l’Eau d’Heure, where he patiently waited all day long, bluffing and watching closely his opponents, before going on to win the title from a three-men group thanks to an amazing burst of speed in the final 200 meters. Although he is adamant that his future lies primarily in the Classics, Nathan Van Hooydonck – one of the brightest and promising talents on the U23 scene – is keen to work also on his time trial, with the National Championships one of his major targets for this year, where he’ll hope to improve last year’s second place. More about this and his season goals, in the following interview, for which Nathan made some time this week, while attending his team’s training camp in Spain. – Nathan, 2015 is done and dusted. How was it? It has been a really good year for me, which began with some bad luck, as was the crash in which I was involved in the Tour of Flanders at a time I was in the leading group, or the mechanicals I experienced at the worst moment possible in Paris-Roubaix. After the Tour des Pays de Savoie, which was a complete disaster for me, I pulled myself together, lost weight, trained harder and lived like a real pro. All these changes led to me winning the national title in the road race. 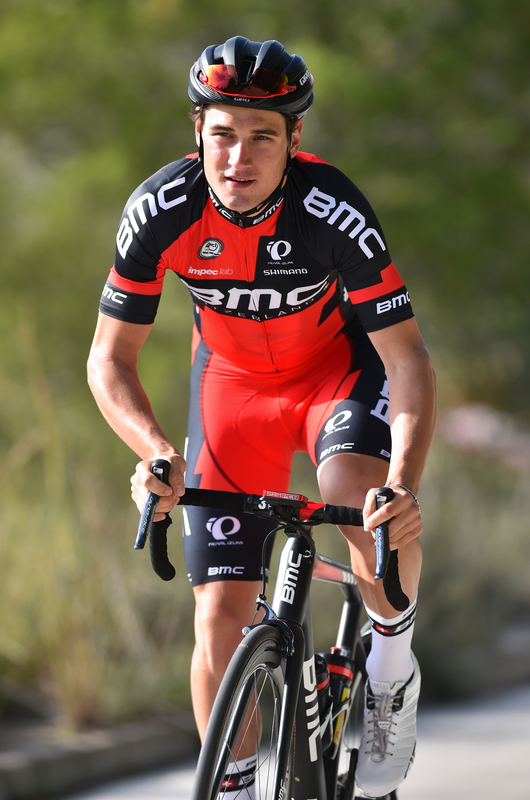 – Last season saw you riding for a new team, BMC Development. How did you find it? The team is super good. We have a great group of guys and the staff was there for us 24/7. I had a great program, which was put together by Geert Van Bondt and myself. He was a very good sport director and I learned a lot from him. I think I became a stronger rider in 2015, and I’m happy for that. – But what is it that you have improved in 2015? I am much stronger and more confident now. I am aware that I need to get out there and to fight in order to land the win. I did it in more than one occasion last season, and now, with this beautiful national champion jersey on my shoulders, I have an extra boost to train hard and to give 100% all the time. I know I have to work hard in order to succeed and I am willing to do that. – As mentioned, your highlight of the year was taking the victory at the Belgian National Championships. How confident were you in your chances before the race? I was very optimistic, considering that a couple weeks earlier I won my first race against some pretty good riders, such as Tom Van Asbroeck, Stijn Vandenbergh, Preben Van Hecke, the national road champion, and Laurens De Vreese. I was the only BMC rider in the race, so I knew it was going to be a difficult race to win, but I managed to get it done. Looking at this victory I can say it will be a turning point in my career, because I showed that I can be there in the important days. – If winning the Nationals was the best moment, which one was at the other end? Probably my crash at the Richmond World Championships. I was feeling good, was in an ideal position coming into the last kilometers, and then it was over all of a sudden. It kept bothering me for a while, but with the help of my family and my girlfriend I’m now over it, and that moment is way in the past. – Paris-Roubaix was one of your biggest goals for the season, but you experienced a tough day and finished 36th. How was that experience? The race was just not meant to be. I crashed hard in the beginning and then my Di2 stopped working, so that was a real bummer. I was very disappointed, but it also gave me a huge motivation, as I want to show I’m good in such a race. That’s why this year it will be one of my major goals. – In terms of pure racing, which was the best experience of 2015? Stage six of Tour de l’Avenir. We were climbing with only 40 guys left in the pack, and I was the one who was pulling for my teammate Laurens De Plus. Earlier in the year I abandoned the Tour des Pays de Savoie, but now, at a much higher level, I did an amazing ride. – Now you are preparing for this season. How are things going? I am now currently on my first camp and the training is going really smooth. I am doing power tests and I know there is still space to improve, in the Classics and the time trial as well. I am very motivated for this season: besides my usual races – Tour of Flanders, Paris-Roubaix, the Nationals, the European Championships and the Worlds – I would like to test myself in some hillier one-day races, like Liège–Bastogne–Liège, for example. Bottom line short, I await the start of the racing calendar with maximum confidence and motivation. Like many of today’s riders, Owain Doull has started by doing something completely different than cycling, and that was rugby, which he played competitively as it is the biggest sport in Wales. One day, he decided to give it a go in the outdoor velodrome located just ten minutes from his home in Cardiff. From that moment on, everything came very natural and Owain rode on the track before giving it a go on the road and returning to the track, where he learnt a lot about bike handling, cadence and speed at a very young age. Then, after a couple of years of racing in Great Britain, he was picked up by the national squad for the U16 category and his promising career began. 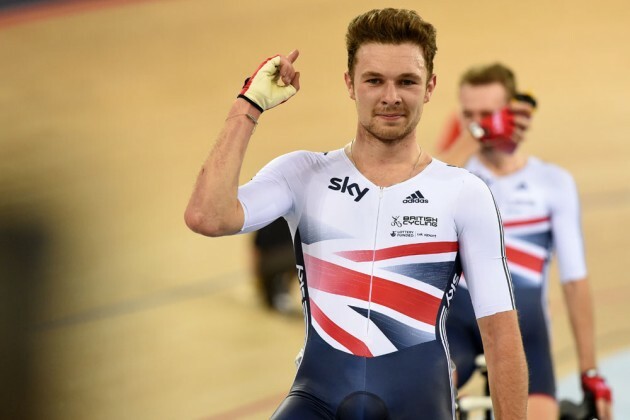 Having won multiple national titles on the track, Owain Doull got the chance at some point to ride wih the big team and didn’t fail to impress, winning the European team pursuit title three years in a row and thus making an important step towards Rio de Janeiro, the venue of the 2016 Olympics. His results on the road were equally remarkable, with a string of top results to his name: the overall victory in the Triptyque des Monts et Châteaux, two stage wins in Flèche du Sud, the U23 national title and, more recently, third at the Tour of Britain, where he finished ahead of many well-known World Tour cyclists. In 2014, while riding for An Post-Chain Reaction, Europcar noticed him and came up with an offer to turn pro, but the young Brit turned it down, admitting it wasn’t the best choice to develop his career. Instead, he preferred to sign a two-year contract with the newly created Team Wiggins, as it allowed him to pursue his both road and track careers. Next season, he’ll be completely focused on the latter of the two, with the ultimate goal of capturing the gold medal at the Olympic Games in the team pursuit event. After Rio, he will turn his attention to the road, the young Welshman already securing a contract with an unnamed World Tour team. That will be the beginning of a new page in his career, as the now 22-year-old will get to experience some of the best races of the calendar, and especially the Classics, which he is very fond of, and thus continue his progression. 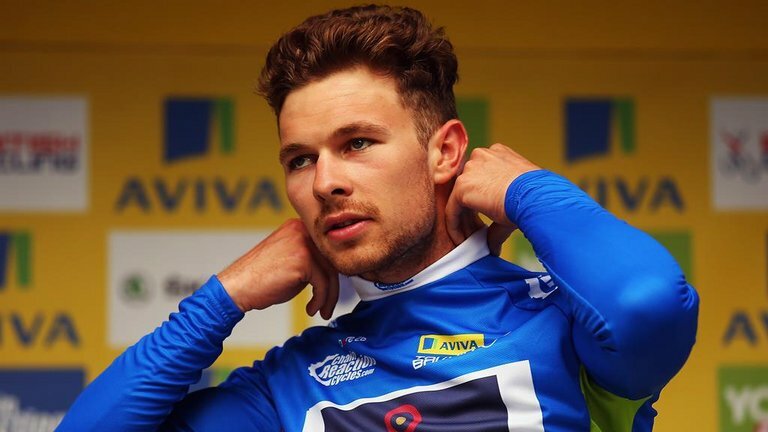 But more on these topics, in the following interview, for which Owain Doull kindly made some time last week, although he has a very busy schedule in this time of the year. – Owain, are you happy with your season and the way things went? Yes, it’s been a good year. My main targets for the year were the U23 Nations Cup races, the British Championships and then the Tour of Britain and the U23 World Championships in Richmond. I trained hard for all of these and was in good form and performed consistently. I wanted to win one of the Nations Cup events after being close for the last two years, but I had bad luck in the U23 Flanders and finished tenth, I was then second at Côte Picarde and seventh overall at ZLM Tour. It’s true that I was consistent, but my goal was to win one, so I was disappointed with the outcome. Fortunately, I won the British U23 Road Championships and the Tour of Britain went well. – So you made the right call last year when you decided not to turn pro with Europcar. Indeed. Looking back now, deciding to not join Europcar was a good move. I was very fortunate that Team Wiggins came around as it gave me the opportunity to combine my road and track ambitions for 2015. – Which of your road results was the most important for you and why? The Tour of Britain is my most important result for sure. I had been performing at a good level all year winning stages in UCI 2.2 races and being up there on the general classification, but this was the first time that I had performed in a HC race and one of the calibre of the Tour of Britain. Also, to be racing at the sharp end of my home tour against some big names was pretty special and one I won’t forget, I took a lot of confidence from the performance and it showed that I can be competitive at a high level in cycling. – Did you expect to have such a solid run in the Tour of Britain? I wanted to do well and it was one of my main targets of the year and also the biggest race of the year for myself and the team. I went to Livigno for an altitude camp beforehand and trained hard. I was hoping to come perform well on a few stages but to come out of it third overall, winning the points jersey and being in the top 10 on every stage except one was more than I could have imagined. – Is there any regret you have after your 2015 road campaign? My biggest regret was the U23 World Championships, because coming out of the Tour of Britain I knew I had good form to get a result. I rode the time trial as a bit of a hit out before the road race and I placed fifth which was more than I was expecting and showed I was still going well. On the day though I had no luck: I crashed twice and had two mechanicals. I went into the race as a favourite and finished 92nd. I was really disappointed afterwards as this was a race I had been dreaming about winning all year and to come away with nothing was pretty depressing. – What would you say are your strong points at this moment? I’d go with my consistency, I’m fortunate that I can perform on most terrain which means I am always going for a result. This year I had over 30 top 10 places in UCI races. On the other hand, this can also be a weakness as I’m not great in one area so maybe for the future I need to concentrate on one specific area of my riding. – And what is it that you still want to improve? My sprinting is probably the area I need to improve on the most. Like I said, I’m good across a lot of different terrains so I can usually be contesting the win, but I just need to become a bit faster so I can actually win the race. – After scoring very good results in one-day and stage races alike, on which of these would you like to focus? On the road I would love to focus on the one day Northern Classics in the future. These are the races that excite me the most and have grown up dreaming of winning. I think as a rider these are also the races that suit me the most. – You also had some impressive exploits on the track, and one of the most recent was taking gold medal in the team pursuit race at the European Championships. It was pretty special to win in Grenchen. It was my third European Team pursuit title in a row so it was nothing new, but to do it with such a strong team and in a quick time was really motivating for the future. – Did it made you more confident for next year’s Olympics, where Team GB will go for another title? For sure, we did a 3:55 in the European Championships and we could have gone quicker in the final if we had ridden it differently, which bodes well for Rio. The whole team is focused towards Rio and nothing else. – Besides the track, what’s 2016 looking like for you? The whole focus for 2016 is Rio and nothing else. Everything I do between now and Rio is focused towards winning the gold medal. Obviously, I will race on the road throughout 2016 as preparation for the Olympic Games. I am very fortunate that we have such a great race program with Team Wiggins and so I can do some nice races next year like the Tour of Dubai and the Tour of California. Then, the plan is to stop the track completely after Rio and focus 100% on the road to see how far I can progress on that. Former Junior and Under 23 World Champion, Matej Mohoric has decided to leave Cannondale-Garmin after his second pro season and join Italian outfit Lampre-Merida on a two-year contract. Just 21-years-old, the Slovenian remains one of the most promising young riders of the peloton, and although he didn’t manage to add a win to his name since joining the World Tour ranks, the general consensus is that a breakthrough result will come very soon. During his tenure with the US-based team, Mohoric has had his ups and downs: he raced the Ardennes Classics, but later in the season experienced a nagging elbow injury, before making his debut in the Vuelta a España, his first Grand Tour. Unfortunately, Matej’s adventure came to a sudden end, as he had to abandon during the first week, when he fell ill. On the bright side, his season didn’t stop there, as he came back for one final event in the argyle kit, the Japan Cup, where he showed some promising signs, by finishing sixth at the end of a hard race. Next season could turn out to be an important one for the Lampre-Merida cyclist, who will continue to build on what he achieved so far in order to fulfill the expectations he has set up for himself when turning pro. Tough he is adamant that his future lies primarily in the tough one-day races, the talented Slovenian is ready to tackle also a couple of short stage races as he feels that these could help him improve and score a big coup at some point. Regardless of what will happen, Matej Mohoric will take it one step at a time and not rush into things, knowing that patience will eventually pay dividends. Of these and many more, you can read in the following interview, which he gave to Cafe Roubaix in November. – Matej, looking back on your season, how was it? I think 2015 was a good year for me. I didn’t get any great results yet, but I am definitely one step closer to becoming a good cyclist. I gained a lot of experience and became physically stronger. I improved a lot, and my body weight has gone a little bit down with absolutely no loss of power. Also, now I cope better with the distance of the races and I can train more intense and for longer periods. – How did you find this year compared to your first in the World Tour? I have found my second season to be much easier, especially from a physical point of view. My body has adapted well to the demands of pro racing. I also believe that the experience one gets from the races he has already done in the past helps as well. Overall, I am satisfied with 2015. – Was there something you didn’t like or which you felt doesn’t go as you expected? To be honest, I expected for things to go worse. I thought it was going to be more like my first year in the pro ranks. However, I didn’t like that I got sick in the Vuelta a España and had to pull out the following day. Actually, that was my most disappointing moment of the year. At the other end, the Österreich Rundfahrt was the highlight of the season for me. I liked it a lot: it’s really beautiful, close to home and with a lot of climbs. – Why did you leave Cannondale-Garmin and why did you pick Lampre-Merida? I had a great time in the Cannondale-Garmin team. It is a great squad, with many nice people, but the time has come for me to change teams. I like some things about Lampre-Merida more. The two teams are different, but it is impossible to say which is better. – Was it important for you to be back in an European team, and especially an Italian one? Logistically, it doesn’t make any difference. After all, I have never been overseas in 2015 with the US team, whereas in 2014 I have spent three months in the States and two months in Australia, all these while being part of an Italian team. It does make a bit of difference in the mentality though. I did fit in well in both teams, so I don’t think cultural differences are a problem for me. – Did you talk to the management of your new team? Yes, I did. They expect me to do my best and perform well in the races I’ll go to. I have my personal goals that are more related to small things in training, not so much to the results I score in the races. I will deal with the results once I will be fit enough to really be there in a race’s finale. – Are there any particular races you’d like to do in 2016? I like Liège–Bastogne–Liège. I would also like to try Strade Bianche and do a Grand Tour again, finishing it this time. Last season showed me that tough one-day races are best suited to my characteristics, but I think I could do well also in short stage races. No one can’t argue that Norway is a real cradle of talent, which in the past years has supplied the World Tour with a lot of fascinationg prospects, from Edvald Boasson Hagen and Alexander Kristoff, to Sondre Holst Enger, Sven Erik Bystrøm and Kristoffer Skjerping. Next year, a new generation of Norwegian talents will make its debut in the pro ranks, and one of the most interesting young riders to watch out for will be 22-year-old Sindre Lunke. Hailing from Trondheim, he raced in 2015 with Team Joker and managed to confirm the strong results he scored one year earlier and take things to a whole new level. During this past season, Sindre finished in the top 10 in two of the most toughest stage races of the U23 calendar – Giro della Valle d’Aosta (8th) and Tour de l’Avenir (7th) – which offered a tantalising glimpse into what to expect later in his career. These important results he delivered didn’t go unnoticed, and they were followed by a World Tour contract that the young Norwegian was dreaming of for some time. So, as it goes, Sindre Lunke signed a two-year contract with Giant-Alpecin, a team which made a name for itself from the development of young cyclists, a team which he sees as the perfect environment to thrive and to continue his improvement. Recently, after the squad’s first meeting ahead of 2016, Sindre made some time to talk for Cafe Roubaix about his season, as well as the challenges and joys of chasing a career in pro cycling. – Sindre, how did your career in cycling began? I started cycling when I was 15-years-old. My dad rides his bike very often, so I got inspired by him. He was cycling every day, from home and to work, despite bad weather conditions, and showed he is a really tough guy. When it is winter in Trondheim, the conditions can be really bad, and with mountain bike and spikes on the tyres, it is hard and can be dangerous at some times. But I saw that it was possible to ride the bike every day, no matter the weather, and this got me going. – What do you remember from your first years? Together with my dad I began taking short trips on my mountain bike, and later that year I finally got my first road bike and joined the local club, the Trondheim Velociped Club. I met a very motivated leader, called “Terje Tho”. This guy was one of the most important persons I have ever met, and he helped me develop as a rider, thanks to a very good training schedule and back-up on trainings. He organized the team as it was a Continental one, and we rode some UCI races in Croatia, Denmark, Norway and Sweden. It was very hard to compete against good Continental teams in Croatia when I was a first year senior, but overall it was very good experience and I’ve learned a lot from it. – Besides climbing, what other strong points would you say you have at this moment? As you said, my strongest side is climbing and my engine is big, so I think I can make some progress in time trials, if I find a good position on the bike and train more for it. You have to be good in time trials if you want do develop as a good general classification rider. – In the past seasons, you scored many strong results. Which was the most important for you? I think the most significant result for me was to finish fifth in the general classification of the Giro della Valle d’Aosta, in 2014. That was my debut race for the U23 Norwegian team, and I showed that I was doing well in long mountains and hard stage races. – What meant for you to finish the 2015 Tour de l’Avenir in the top ten? This year’s Tour de l’Avenir was really hard! It was almost full gas on every mountain stage, so I am happy for my seventh place on the GC. Of course, it was a disappointing last stage of the race, when I began on fourth place in the overall standings and aimed for the top three. I didn’t have a good rhythm, couldn’t find the right pace and I wasn’t so smart when Gregor Mühlberger and Sam Oomen attacked before Lacets de Montvernier. Then I got a technical on the top of the hill and had to wait for the car, so I lost a lot of time there. But that’s cycling. 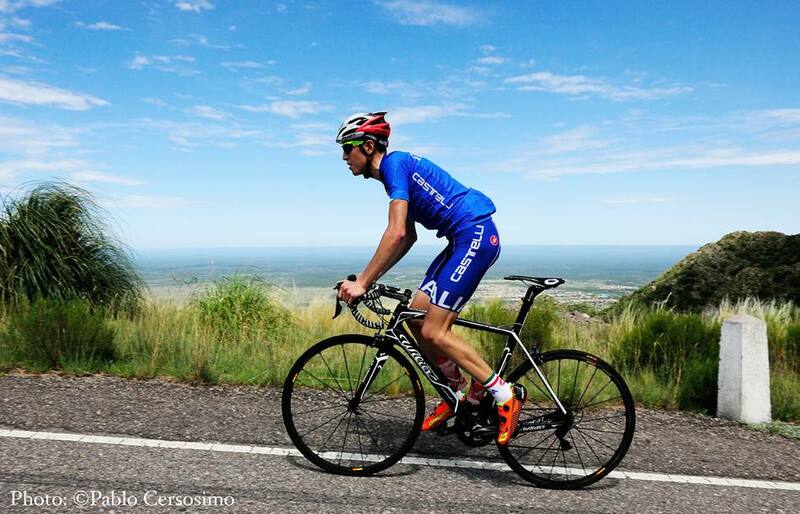 – As an U23 cyclist, you also raced against the pros in some races. How was it to see you can mix it up with them and even finish ahead of many? In some events I raced against many pros together with Team Joker, but this year in L’Avenir it was a new rule that pros under the age of 23 could also participate. It was a good feeling that I could fight and do well against them, and even finish ahead of some. If you get a confirmation that you can do a good GC in the Tour de l’Avenir, you can also do well sometimes when you ride against the pro peloton. Just look at this year’s winner, Marc Soler, who scored a couple of good results in some races this season. – In 2016 you’ll turn pro with Giant-Alpecin. What’s the story of this transfer? Well, after L’Avenir I was a bit disappointed and thought that my chance was gone. I got in touch with Aike Visbeek and asked if the roster is full for next year. They were interested in me and after that, I talked to Sports Director Marc Reef, when I went to Belgium with Team Joker, and by doing this I got to know more of the way the team is organized. I felt that this team had good ambitions for the future and I liked the way they develop young riders. I had to wait a bit before they did the selection, so I thought that they did not want to choose me, but when I got the phone call from Marc Reef with the confirmation that they wanted to sign me, I got goosebumps. For two nights after I got the message I couldn’t sleep almost at all and did not believe that it was true. It was really hard to keep it a secret also from friends. So when the signing was made public, it really was a relief. – How was the first meeting with the team? The first gathering took place in Deventer, in the Netherlands, where I met almost the whole team and all the staff members. I was nervous before the first reunion, but it was really easy to talk to everybody. Everyone talks good English and it was a lot of new faces to get to know. It was as big as I expected to be and it was really impressive to see all the staff members and how much planning there is to do in a World Tour team, but I liked it a lot, and with many meetings, photo shoots, bike fitting and so on, the days went fast. We had a lot of fun after the meetings also, so I am really looking forward to the first training camp and to get to know the boys better. – Did you get to talk about the expectations they have from you in the first season? I had a meeting with the coaches and talked about how things work in a World Tour team. They have a good strategy for developing young riders and they have shown that with both Warren Barguil and Tom Dumoulin. I think the race program looks very interesting and it includes a lot of exciting races. I will keep on improving my climbing, but the most important improvement I have to make is in the time trial, as I want to be a very good all-rounder. – And how about you? What are your hopes and goals? My hopes and goals for 2016 are to become better in the mountains and hills, and also to support the team’s leaders and do a good job. I think the first races will be very hard, but I think the way of racing in the World Tour suits me a lot, as there’s a lot of climbing there. I also want to try a Grand Tour – Vuelta a España would be a strong option – but I have to see how my body reacts after the races in the spring. Long-term, I want to be a strong GC contender for a Grand Tour. It is, of course, a big step, but I like long stage races with many mountains and I think these suit me. I would love to win a hard mountain stage in a Grand Tour, and a good fit would be the Giro d’Italia, which looks fantastic.